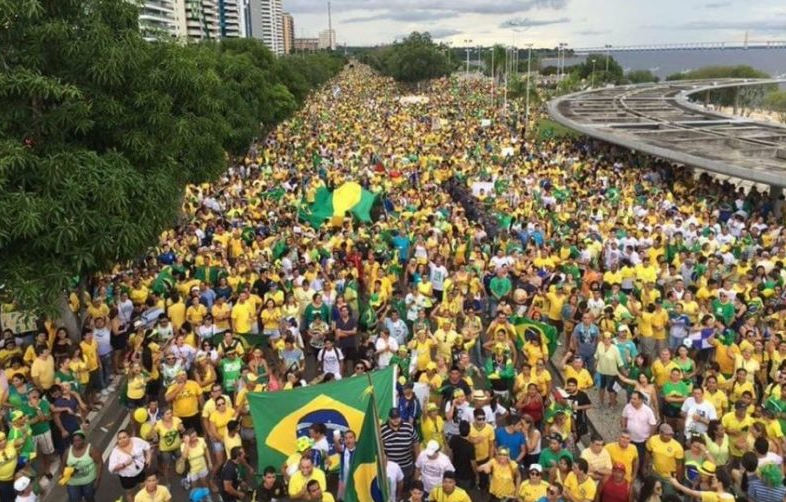 One week before the first round of the Brazilian Presidential election, hundreds of thousands rallied both for and against the controversial front-runner Mr Jair Bolsonaro as he left the hospital after being stabbed during a rally last month. Analysts say the deep division between supporters of Mr Bolsonaro and those who oppose him are a worrying sign of society in Brazil. Fears are that this will only worsen. One group that stands to benefit from it all are the evangelicals. With two candidates at the extreme end of the political spectrum, the group that has some 100 members in the Brazilian parliament, is bound to come out as a winner. Related coverage: <a href="http://thegoldwater.com/news/38258-Jair-Bolsonaro-The-Only-Result-I-will-Accept-Is-My-Election-As-President-Of-Brazil-Video"> Jair Bolsonaro: “The Only Result I will Accept Is My Election” As President Of Brazil (Video)</a>. During the upcoming presidential election on October 7, the evangelical faction of the Brazilian parliament sees two candidates with an evangelical profile: Ms Marina Silva and Mr Jair Bolsonaro, hoping to reach the highest office in the land. Ms Silva, an environmentalist, is a convert from Catholicism who joined an evangelical church several years ago whilst Mr Bolsonaro was baptized in the Jordan River by an evangelical preacher in 2016. Some 42 million Brazilians (22 percent of the population) registered as "evangelicos" in the 2010 census, while around 123 million (64 percent) described themselves as Catholic. Experts estimate the number of "evangelicos" is currently at around 30 percent, yet they are still politically underrepresented. The "frente evangelica," founded in 2003, currently only has five of the 81 senators in the upper house of Congress are evangelical, but the group is bound to change that. Both their numbers in the house and in the Senate, during the upcoming election could increase by at least 10 percent, "thanks to a good performance by the candidate Jair Bolsonaro," claims Mr Ricardo Ismael, a political scientist at the Catholic University of Rio de Janeiro. "What's new is that the evangelicals are becoming viable competitors in elections to the executive branch." Brazil will vote in a two round presidential election on 7 and 28 October. The rightwing evangelical Mr Bolsonaro currently leads polling ahead of his leftwing rival Mr Haddad. Both candidates will need the support of rivals if they are to face each other in the runoff round on 28 October.